Helen Gibbins is no stranger to the political process. 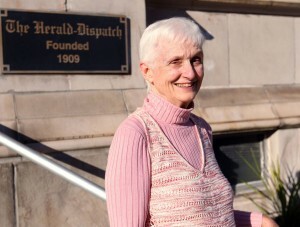 Lori Wolfe/The Herald-Dispatch Helen Gibbins is the president of the Huntington Chapter of the league of Women Voters. For more than 50 years, she’s been active in the Huntington Area League of Women Voters, and she’s a known entity among local and even state legislators through her work in advocating for environmental issues, voter law reform and education, to name a few. She’s also not a stranger to the perspectives and results women can bring when they’re elected into public office, and this year’s presidential election is one that she said will go a long way in progressing the conversation about what women can bring to the table in running the United States of America. No woman has ever held the office of President of the United States, and even today, 19 percent of the U.S. House of Representatives and 20 percent of the U.S. Senate is comprised of women, even though 50.8 percent the U.S. population is female, according to the U.S. Census Bureau. As of the 2016 regular legislative session of the West Virginia Legislature, 18 of the 100 House of Delegates members were women, and two women served in the 34-member state Senate. Of the 104 women members of Congress, 31.7 percent (33) are women of color, according to Catalyst.org, a nonprofit organization that promotes inclusive workplaces for women. In 2015, the U.S. was ranked 72nd in terms of women’s representation in national legislatures or parliaments by Inter-Parliamentary Union. While Gibbins, who is known for being an unbiased voter’s advocate, wouldn’t say whether she voted for Democrat Hillary Clinton, Republican Donald Trump or a third-party candidate for president, she said the fact that there is a woman who could become president is a sign of the changing attitudes about the roles of men and women in U.S. society. All in all, Gibbins said she hoped voters were focused on issues than the personalities of the candidates and gave their full attention to state and local issues as much as national ones. Our Membership Meeting will be held on Thursday, November 17, 7:00 – 9:00 at the Aull Center. Dr. Jim Kotcon will be the guest speaker. He will be talking on the topic of renewable energy and jobs in WV, including energy efficiency. 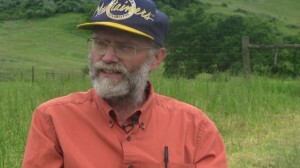 Dr. Kotcon is Professor of Plant and Soil Sciences in the School of Agriculture at WVU. He teaches courses on Sustainable Living and Environmental Impact Assessment. Among his research interests are organic agriculture, biological control, and biofuel crops. He has been part of the solar co-op for over a year, was recently elected Chair of the West Virginia Chapter of Sierra Club, and is an active volunteer with the West Virginia Environmental Council, Union of Concerned Scientists and other organizations. We will have a social time with refreshments and will provide information about membership and opportunities for participation. Renew your energy, renew your membership and renew your involvement! Thank you, Voters Service! Once again, I was able to cast my votes at the polling place in an informed, comfortable, and decisive manner with the added advantage that I often had the opportunity to talk to the candidates in person. For 2016, we offered five candidate forums for all contested Monongalia candidates and the levies; additionally, the State League provided a voters guide for state candidates. The forums and the voters guide can be found respectively at http://videos.lwvwv.org and http://voters-guide.lwvwv.org . The National League establishes that invitation criteria should be nonpartisan, fair and applied objectively. The State League once considered whether we would support the criteria of the WV Public Broadcasting that often relies on polling popularity. The unanimous consensus was absolutely not! We will only sponsor/host debates and forums where all candidates legally registered to run on the ballot have been invited to participate. While this means hard work, this year we estimate at least 500 hours in local effort, it also means that we provide the best education for voters. Kudos to the League!